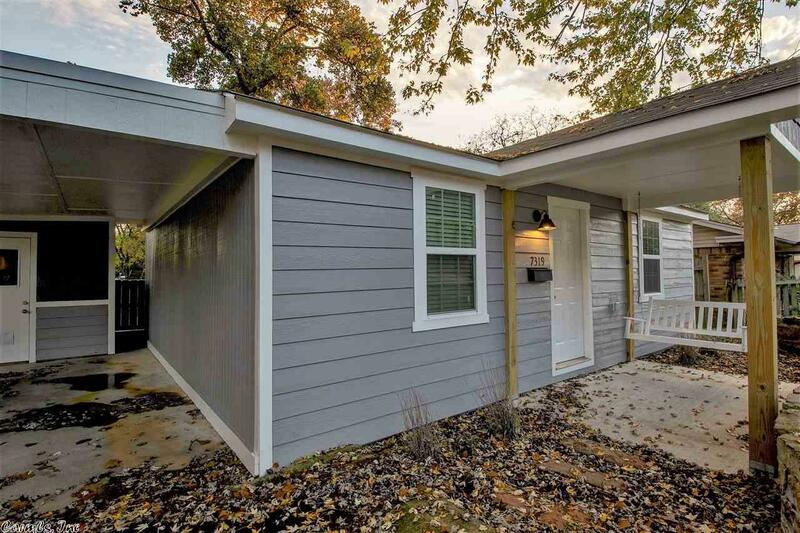 Midtown Cottage 2bed/1bath renovated and move in ready. This home has new roof/floors/insulted window/doors/bathroom/granite kit counters/recessed lighting/paint. Nice deck overlooking large level fully fenced yard complete with a 12x16 shop/elec and loft.Large gate allows easy access to yard for storing boats/atv. New front porch complete with swing adds to the charm of this home. One car carport/attached storage/laundry. Home is perfect for small family or someone looking to downsize.